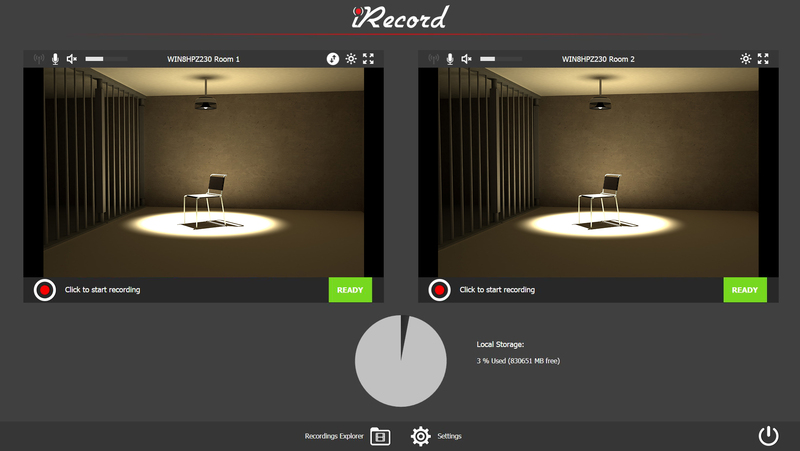 iRecord is the natural choice for interview rooms of all types that require a SIMPLE video and audio recording solution with very high quality and reliability. In addition to the “ONE TOUCH” recording controls that are simple and user-friendly, iRecord is designed to operate without disrupting established operating procedures. Once recorded, the digital media is stored on smaller, more reliable optical media rather than “bulky” audio or video tapes, ensuring a complete and accurate recording of excellent quality. iRecord Universe is a high resolution digital audio and video recording, broadcast and content management solution. 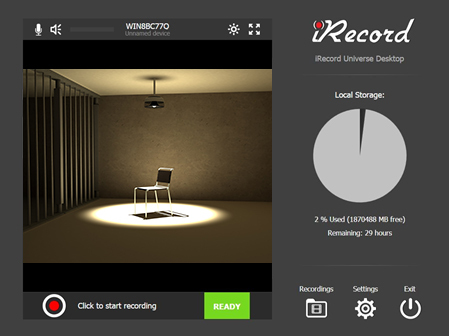 iRecord Universe utilizes thick client browsers, so you can view live interviews from any location in your building via the network. You can also retrieve previously recorded interviews, type in META Data, create bookmarks (notes), edit (Redaction), run a chain of evidence audit trail and make copies in WMV and MPEG DVDs, in addition to saving to USB in WMV format. No matter what field you’re in, Universe offers a configuration to suit your needs. We’re industry leaders in providing interview room recording for Child Advocacy Centers and Law Enforcement Agencies, and our solutions have a wide variety of applications in education, research and healthcare, as well. Our cameras and omni-directional mics are designed to integrate into their surrounding environment without drawing attention to themselves. No experience is needed to master iRecord systems. They activate with the touch of a button. iRecord Universe also supports remote starting and stopping via the client browser via remote authorized PCs, tablets or laptops. The image is viewed as Picture-In- Picture, and audio and video are 100% synchronized. We typically use two cameras per interview room, to allow you to catch every nuance of a session while also providing complete transparency. 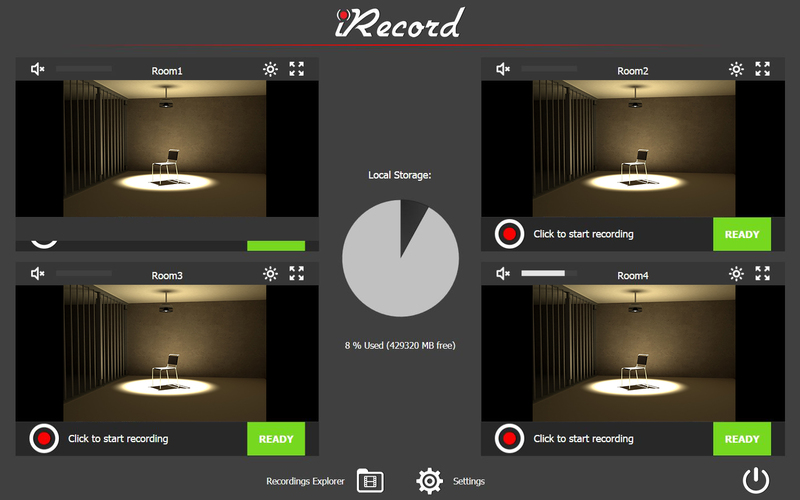 Host up to four interview rooms on a single recording device, then pull all of the resulting footage to our central storage, regardless of the scale of your system. Metadata, redaction software and note-taking capability ensure that you can find the relevant footage with ease. No more rewinding or fast-forwarding tapes!